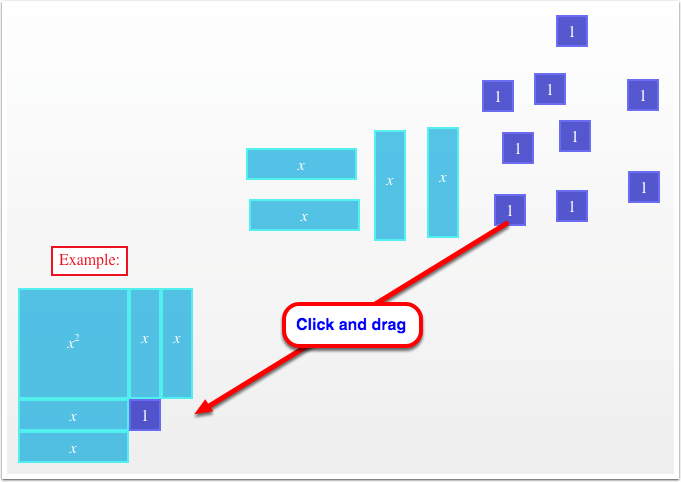 Use the Algebra tiles to multiply and factor binomials. Use the algebra tiles to make squares. Use the ideas to learn how to "Complete the Square". Move tiles to complete the figure. 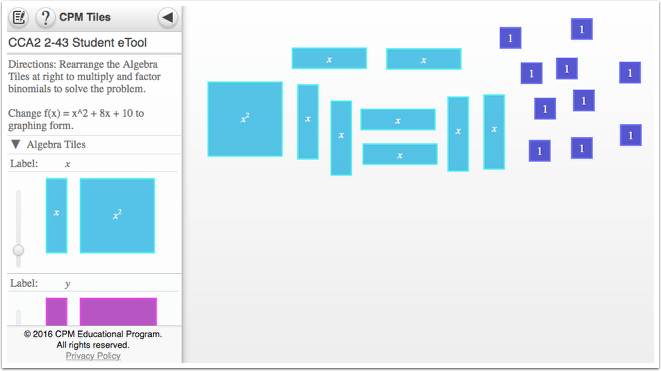 Click each tile and drag it to the desired location to complete the square.